The helpdesk is an important asset in any business, helping to keep your employees working and your business running smoothly. It’s the centralized intake hub whenever there are any technical issues and can help to quickly troubleshoot issues that employees are having with technology. The helpdesk also has a proactive role to play in ensuring that your organization’s IT systems are operational and that there is minimal downtime. Customer service skills are just as important as IT skills on the helpdesk. When filling vacancies on your helpdesk team you should ensure that you look for the right mix of these skills. Offer ongoing training, coaching and development opportunities in both customer service and relevant IT issues. To have a successful helpdesk, it’s crucial that your staff have the right blend of skills needed to assist your clients. Having an understanding of deadlines, priorities, workflows and work practices within your organization can help when trying to give advice and assistance to employees who need it. While there are many IT issues that are standard from company to company, your unique environment may have its own set of needs. There may be many unnecessary calls that your helpdesk staff are fielding every day, detracting from time they could spend resolving other issues. Ways to reduce the number of calls to the helpdesk include creating a self-service kiosk on your intranet site that covers some of the most common and easily fixed IT issues. 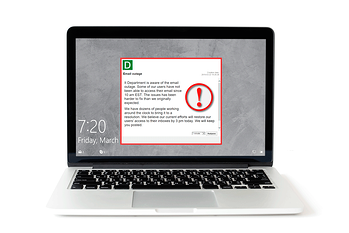 Another solution is DeskAlerts - an internal communications software solution that sends pop-up notifications to every employee’s computer screen. You can use it to let employees know about outages or other known errors and problems that are widespread, reducing the number of calls about the issue. As customer service needs to be a priority and focus for your helpdesk, you don’t know if there are any areas that need improvement unless you benchmark client satisfaction. You can run satisfaction surveys across the organization, for example using DeskAlerts’ polls/surveys/quizzes module. You can also send short questionnaires to employees who have used the helpdesk’s services to get feedback. Using software that automatically converts client emails to help desk tickets saves lots of time and effort. So, too, does having quick ticket templates and automated responses to lots of standard problems. 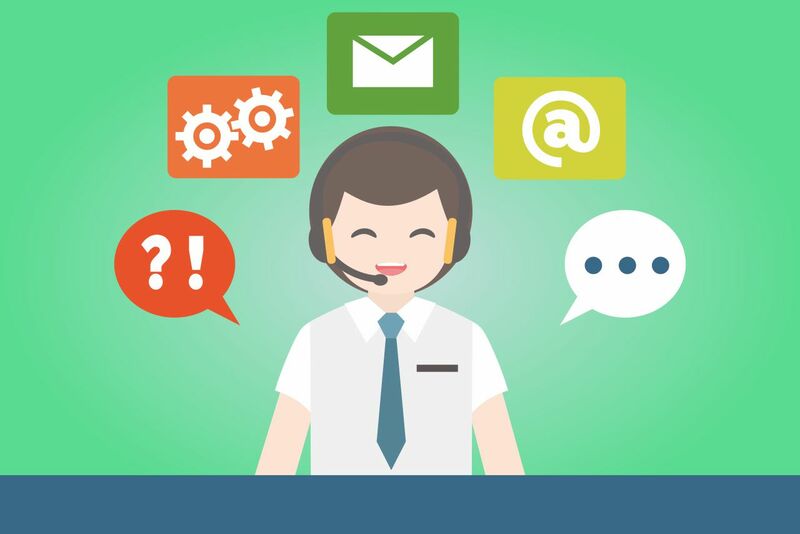 When you can’t completely automate your responses, having some predefined answers that help desk staff can send for common questions and issues can also help to optimize your help desk service.